Depending on your needs and situation, you might need to change login details of an email account under your Dynamail account. 1. Log in to mail.dynamail.asia using your Administrator account. 2. Click on Settings at your left pane then click Users at the right of it. 3. 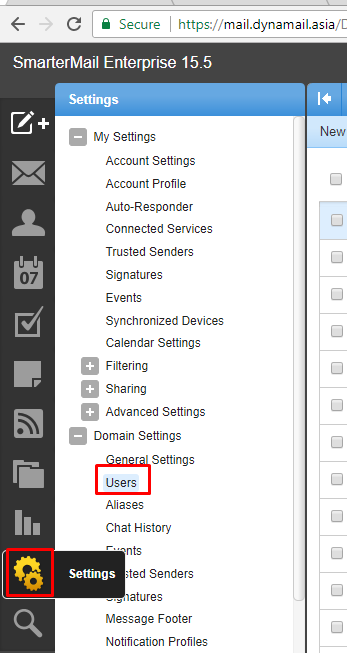 There you can see the email accounts under your Dynamail, check the email you wish to manage then click on Edit. 4. Insert the New Password and reconfirm it then click on Save to confirm the changes. And that's how you change email account's login details in your Dynamail Account.